Please read this, Mr Politician. 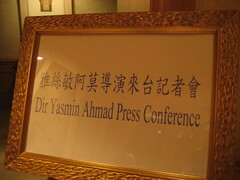 It is said that it was his meeting with Shams Tabriz which provided the key to Rumi’s inclusivity. For it was Shams who once said that if the Kaaba were suddenly lifted up out of the world, we would see that each person is really bowing, five times a day, to his fellow human beings. Today, of course, more often than not, it is greed and suspicion towards our “fellow human beings” which determine the course of our actions. In his introduction to this new compilation of poems by Rumi, translator Coleman Barks suggested how the relationship between his home country, the United States, and Iran, may have gone wrong. “From recently released documents, I understand it is clear now that the United States, in that year (1953), overthrew a democratically elected government in Iran and installed a dictator, the Shah. We did this because Mohammad Mossadegh, a tall, elegant, eloquent, beloved statesman with a European education decided, in 1951, to nationalise Iran’s oil industry. He thought it appropriate that Iran owns its own resources, for God’s sake. What would Jelaluddin Rumi or Shams Tabriz have to say about this blatant act of terrorism? “Come out here where the roses have opened. The city seethes with rumour. Would Churchill and Eisenhower have paused to reconsider their actions had they heard such a call? Or would business have gone ahead as planned? This year, 2007, marks Rumi’s 800th birthday. The strange motley entourage which gathered on the day of his funeral somehow indicates a sort of pluralism, now frowned upon by certain quarters. Me, I’m too ignorant to take sides here. There are mighty arguments for and against pluralism, no doubt, and the proponents of each will present a seemingly air-tight case. And yet, all it takes is one tiny pin prick, does it not, for us to be able to breathe again? Coleman Barks cited a Saadi poem carved in Farsi on the wall just inside the door of the United Nations building in New York. all parts contract with pain. Perhaps every world leader would do well to pick up this book and read it, carefully and with an open heart. Thereafter, he should seek a place of solitude for a while, to take stock of who he is, what he has done, and what he’s about to do. There has been too much talk. Recently, Coleman Barks was awarded an honorary doctorate in Persian and literature by the University of Tehran for his thirty years of translating Rumi. Now he has collected and translated ninety new poems, most of them never published before in any form. 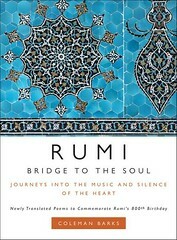 And he has done so in a book, aptly titled “Rumi: Bridge to the Soul”. 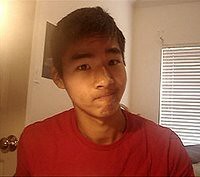 Girls, do you think Kevjumba is cute? Riding into Taiwan, on a Golden Horse. When I was little, long before I even knew where Berlin, Cannes or Venice were, I had only ever heard of two film festivals. The Oscars, and the Chinese Oscars. And so when the folks at Golden Horse asked me about holding a retrospective tribute of my films, I ran down our office corridor, screaming, "I'm going to the Chinese Oscars! Yee-har! I'm going to the Chinese Oscars!" It was one of the best times I've ever had with my clothes on. Thank you, Golden Horse. Thank you, Ah Sen, Ah Ling, Tess, Steve, Ron, Ted, Diva, and all those people in Taipei who made me feel so at home, so cared for, and asked such genuinely intelligent questions about film, not just some half-baked, ill-informed pontifications that I often get from bitter people at FINAS Sesi Apresiasi Filem. I miss my Golden Horse! Did I die and not know it? To date, five festivals have held "retrospectives" of my work. That is to say, they screened "Rabun", "Sepet", "Gubra", and "Mukhsin", two or three times each, during the course of their festival. 1. 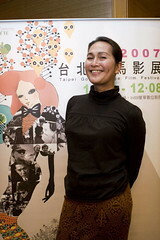 The Tokyo International Film Festival, 2006. 2. 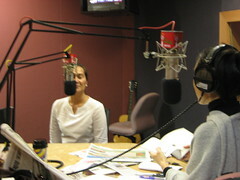 A special tribute by the University of Hawaii, Honolulu 2006. 3. 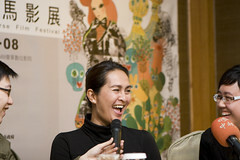 The Osaka Asian Film Festival, 2007. 4. The Thessaloniki International Film Festival, Greece 2007. 5. 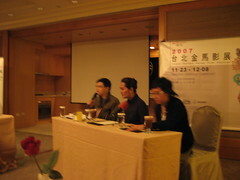 The Golden Horse International Film Festival, Taipei 2007. And I've got about two or three more retrospectives lined up for next year, in various parts of Asia and Europe. Alhamdulillah. Now, a "retrospective" has been defined by one dictionary as, "...any exhibition or series of showings or performances, as of musical works or motion pictures, representing the work of an artist or performer, over all or a major part of his/her career: for example, "a retrospective of John Ford's movies". This is interesting to me for two reasons. Firstly, if what I've done so far constitutes "all or a major part of a career", then my "career" as a filmmaker is either over, or coming to a close! Or worse, that I, like John Ford before me, am DEAD. Secondly, this throws new light upon Yusof Haslam's claim that foreign festivals like the Berlinale, NETPAC, and Cinemanila gave "Mukhsin" awards only because they hadn't seen my other works. His basic contention was that if they HAD seen my previous films, they would not have been so impressed with "Mukhsin". And THAT was why he, as the head of the jury for this year's Festival Filem Malaysia, did not regard "Mukhsin" as fit for any nomination in any of the main categories. But seriously folks, despite the fact that he was disgracefully off the mark regarding international festivals not seeing my other films, I think perhaps there is some truth in what Yusof Haslam was saying. I still believe that I don't know the first thing about filmmaking. During one Q&A session at the recent Golden Horse Film Festival, a professor who taught film at a local university asked if I would agree to give some lectures to his course attendees. Violently shaking my head and waving both hands in embarrassment, I exclaimed, "No, no, no, no, no! 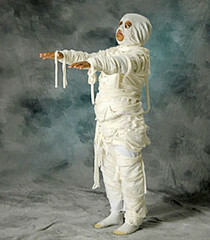 I have nothing to teach, because I KNOW nothing!" To which he replied, "Yes, yes, yes, yes, yes! And I don't want you to TEACH anything, I just want you to share the experiences you've had, while making your films." "But...," I protested, "I just follow my feelings, one scene at a time!" "Well then, explain to me, and my students, one scene at a time, how you managed to create those scenes that moved us so much." Suddenly, all the flak I had ever received in my own country from the likes of Yusof Haslam, Akmal Abdullah, Ismail Ahmad, Raja Azmi, Mansor Puteh, and Abu Hassan came flooding back to mind. I immediately excused myself by telling the Taiwanese film lecturer that I needed to go to the Ladies. Once inside, I got into a cubicle, locked the door, buried my face in my hands, and did something which I can't explain to this day. Have I found my Raju for "Talentime"? Meet Mahesh. He has that "something" that I'm looking for in my Raju. That X factor. If I had met him when I was 16, would I have fallen for him? Is Paris a city? Does Superman wear his underwear on the outside? 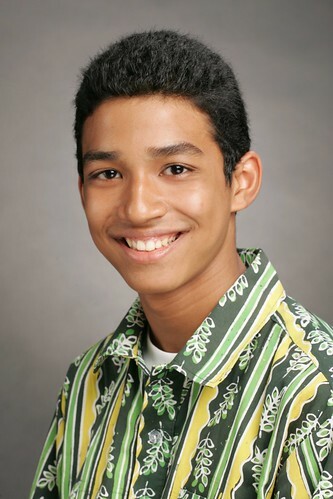 He is 17-years old and his full name is Mahesh Jugal Kishor. I've only just found out that he's half Gujerati, a quarter Tamilian, and a quarter Chinese. There'll be more Raju candidates in the coming weeks, inshaallah. But this one certainly has that... something.